Don’t consider the planning stage of the job a waste of time. It is the most valuable spent time of the owner’s involvement in the renovation process. 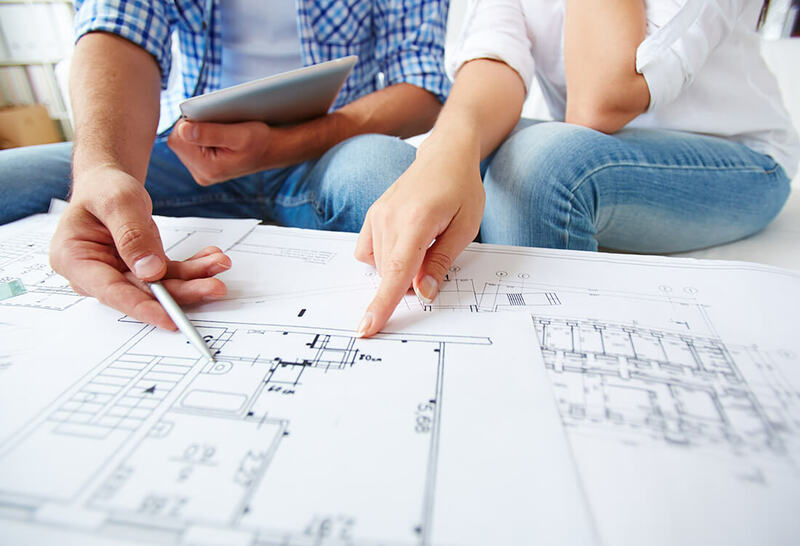 An architect or draftsman’s plan is a valuable asset and is worth every cent you spend on it. Carefully consider what you want to achieve in expanding your living space. Think about how you propose to use the extra space. Traffic patterns are important to the eventual amount of actual use and the enjoyment of the addition. Make sure the distance to the destination is not cumbersome. Make sure exterior accesses are considered. Layout, or the floor plan, is a very important aspect in the entire renovation and should be given careful consideration. Be realistic about the amount of space you will need to enjoy the activities you expect to use the addition for. Rooms less than 10 feet are difficult to place furniture or use for media viewing and listening. Rooms less than 8 feet are hard to use for even a computer office. Standard room sizes in modern houses approach 12 feet X 12 feet. A little smaller is O.K. Rooms that are narrow and long are hard to use and will often be divided into two use areas that may not meet with your original plans for utilizing such a room. It is best to keep rooms less than square but designed in rectangles that are close to square. Example: a small bedroom at 10 feet x 11 foot 6 inches is O.K., a medium size modern bedroom would be a little larger than 10 foot 6 inches wide X 12 feet. 12 foot rooms make a nice size but might not always be achievable with the overall space that is available in the renovation. Do not include the closet in the room size above. Bedrooms should have a closet at least 3 feet wide X 22 finished inches deep, (23 or 24 rough in inches). Bigger is better, and 6 foot wide closets are common. Other rooms have minimum sizes as well. A small bathroom should not be less than 6? X 5? plus a little bit. Media and recreation rooms need a 12? width X a comfortable length not less than 14?. Needless to say you have to make compromises within the overall space that you have to work with and the number of rooms you want to include. Windows are important and need to be considered in the early stages of the layout. The purchase of low “E” and argon insulation between the insulated glass panes is recommended. Heating costs are high, you need to make the heating component efficient. Keep in mind that it costs a lot by everyone’s standards to undertake a construction job. Everything is a lot more work and costs than you might initially think. After the work is complete you will not question why it cost so much because you will have seen the amount of materials and labour that it took to carry out the work.